Title-“The Wedding” Second sequenced post. 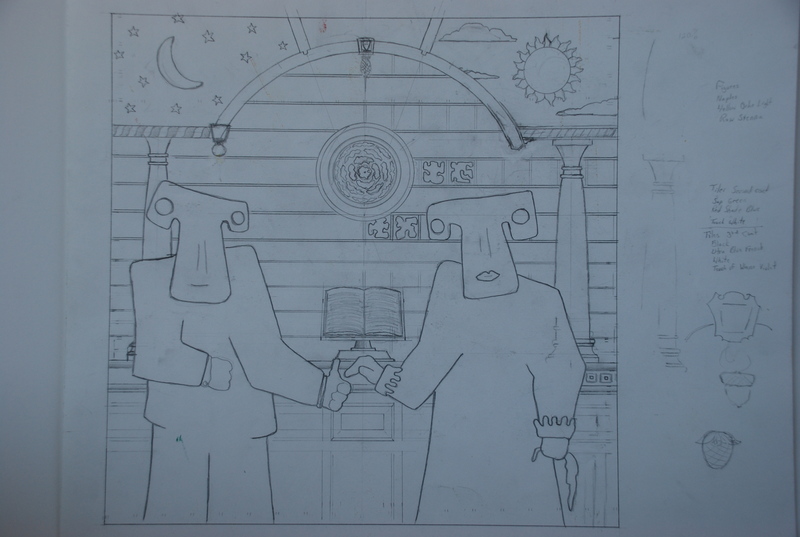 Posted is the 12” x 12” pencil worksheet to be used for the “The Wedding” painting. The previous worksheet attempts, over the years prior to this project, were all consistently toying with a horizontal rectangle layout. To convert the design to a 12” x 12” square format was a little bit of a challenge but I am fairly pleased with the adjustments. The next step is to transfer the design to a gesso prepped board.